The first month of the new season has seen some great goals and some good performances so here is the Golazo Argentino pick of the bunch. Goal of the month, player of the month and manager of the month – feel free to offer your own opinions. The surprise leader of the goal scoring charts, Oscar Ahumada is the Golazo player of the month for February. As a central midfield player a goal in every one of All Boys games is quite an achievement. 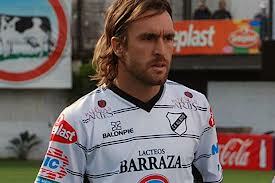 The former River Plate player scored in the draw with Godoy Cruz, the defeat to Quilmes and the victory over Boca. The strong start to the season by Lanus is the reason for this award. 3 wins out of 3 and playing some fantastic football Lanus have been the best team in the opening month, there is obviously a long way to go this season but they could be contenders for the championship if they continue to play how they have been. 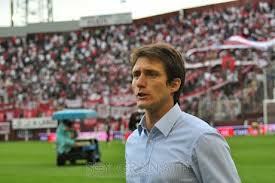 Yet to concede a goal and a very dangerous attack credit must go to manager Guillermo Schelotto. His first managerial job is, so far, going very well and he has continued the good form that Lanus showed at the end of the 2012 season. Still at only 39 years of age Schelotto could have a good future ahead of him.